When heading to the beach for the day with kids, we are inevitably found lugging fruit onto to the cutting board and chopping away. Fruit is a fantastic choice for the kids when we’re out in the sun; they are hungry all day and it’s a healthy choice. At the top of the list of my girls’ fruit choice is watermelon! It’s a universal favourite with all their friends and over time I’ve been found brushing sand off watermelon pieces after a child chooses a piece from the container. Finally I’ve found out how to cut a watermelon for kids to easily pick up! This is super simple and when the watermelon is cut this way, it stores more in the bin and because it’s easier for the little ones to pick up there is less sand dropped onto other pieces. Begin by slicing your watermelon in half. Turn one half of the watermelon face down on a cutting board and begin making 1-2 inch thick slices. Turn the watermelon 90 degrees and repeat.You’ll have to use one hand to hold the watermelon slices together while making your cuts. That’s it, you’ve not got watermelon slices which little fingers can easily hold and you can store more within your containers. Like this idea? 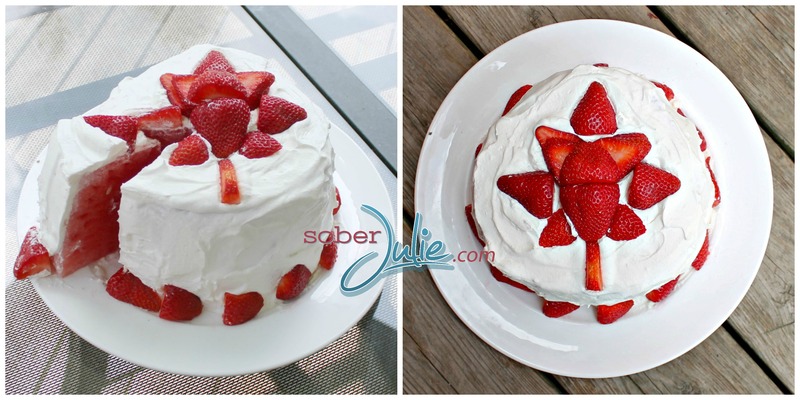 Check out my Watermelon Cake idea! love this! much easier for us adults to eat too, watermelon sticks never thought of cutting it this way, but I will from now on, thanks for sharing!! too cool!! that definitely makes it easier for my daughter! This is great! 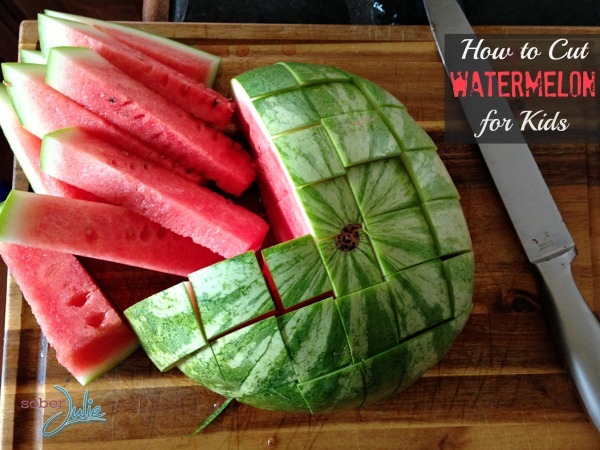 I’ve never seen a watermelon cut up this way before, but next time we have one, I’m going to copy you! These would be a whole lot easier to eat than the wedges I usually cut. Thanks Julie. 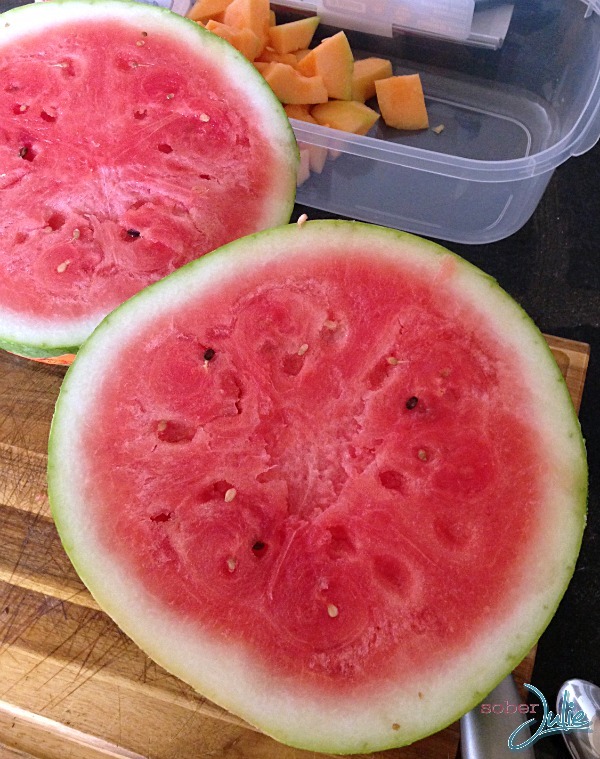 I love the way you cut that watermelon up.The kids will have an easier time of earing it than the regular wedges I am used to.Thanks for sharing this great idea! 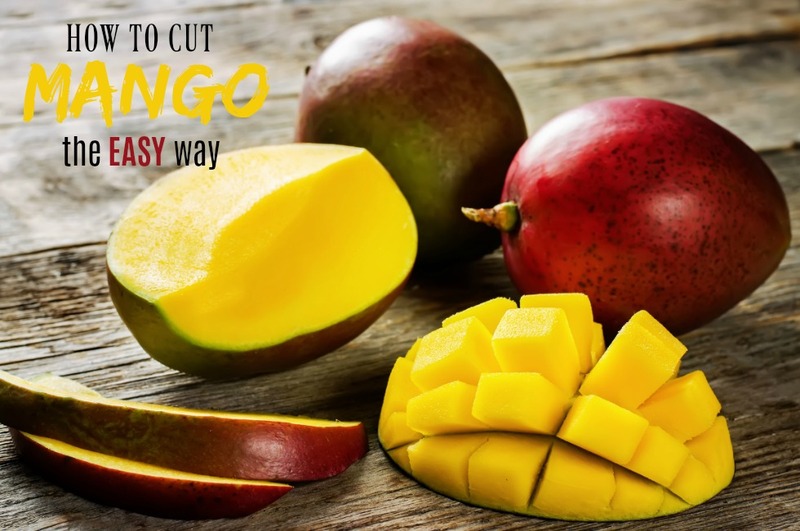 I have never thought of cutting melon this way and it is so easy! Ok I clicked on this thinking, seriously how hard is it to cut watermelon? That’s so dumb. But then I read it and thought holy cow I’m dumb! That’s the best way to cut watermelon. Humbled. Love this, I am definitely going to try this out next summer! Would make it easier to eat for everyone! That’s a smart trick! We’ve had so many watermelons this past summer. It tastes delicious, the only thing about it is the mess after cutting watermelons. Thanks for sharing this handy trick. I can try this trick on honeydews, melons too. 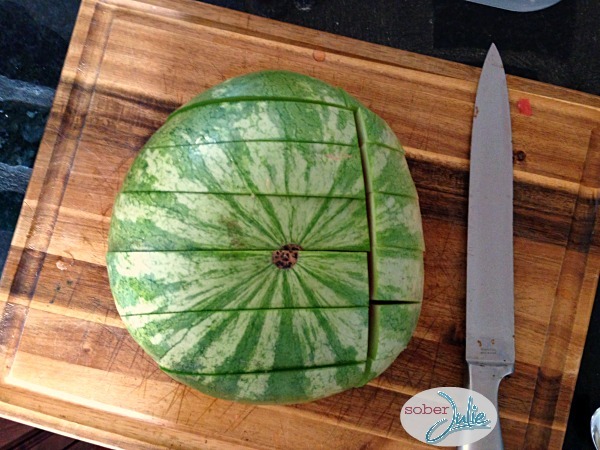 This is really a great way to cut watermelon! I like that it is small and can be held by the hand and does not need plates and forks. I will have to cut my watermelon like this next time I go to the beach. I learned this method a couple years ago. It truly is the best way to go! Love this trick! We have one waiting to be cut up. Going to give this a try! how do u get it to stay in place….? LOL I tried this once….and mine was all lop sided…..haha…..
Why, oh, why, were we taught watermelon should be I triangles?!?! I nearly cut off my fingers every time! Watermelon stix are CLEARLY the way to go!! Thanks for the awesome idea! What a fun and simple idea for enjoying a healthy snack! Pinning and sharing on my blog as part of my August favorites! Thank you! I am going to cut it now…my kids are teenagers…I figure it will be better to cut it your way…so wish me luck! This is the best way to cut up watermelon, I just did it now with a medium size one that was round, it was so easy, Make sure your knife is very sharp, that way it glides thru it, but still be careful. Thanks Julie, it makes me want to eat watermelon more often now. CC A very good and easy way of cutting a watermelon,i love the way of cutting it.